Veličina ovog prikaza: 800 × 524 piksela. Ostale razlučivosti: 320 × 210 piksela | 640 × 419 piksela | 1.024 × 671 piksela | 1.280 × 839 piksela | 1.613 × 1.057 piksela. 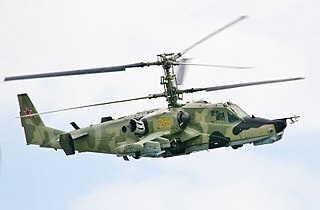 English: Russian Air Force Kamov Ka-50. This file comes from the Dmitriy Pichugin collection and is copyrighted. Note: This permission only extends to photos taken by Dmitriy Pichugin at this link, in addition to files which may be provided via email. It does not include any other content from airliners.net which has not been provided by Dmitriy Pichugin.